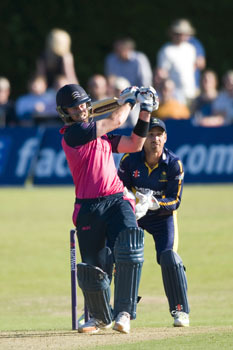 Middlesex’s Dan Christian and Kent’s Sam Billings were joint-winners of the Walter Lawrence Trophy in 2014, with both men having scored 46-ball centuries. Sydney-born Christian hit 9 fours and 8 sixes in his hundred against Kent in the NatWest T20 Blast game at Canterbury on June 6. The 31-year-old all-rounder has represented three State sides in Australia, and played in 19 One-Day Internationals and 15 T20 Internationals for his country.